The expertise he developed along the way turned him into one of Minnesota’s leading phenologists and host of a popular weekly radio show on KAXE that attracts nature lovers and regular phenology contributors from around the state. His path was a perfect fit for a nature-loving kid who spent his childhood playing in the woods and the ponds outside Grand Rapids. “I was always observing, but not with the careful eye I have now,” he says. His forester dad had taught him about trees, and his farm-girl mom knew a lot of the wildflowers, but Latimer found his own way by following his curiosity—and by meeting an elderly customer on his mail route. So did his listeners. Customers on his route began asking him about what they were seeing—and not just in person. “People would leave things in their mailboxes for me to identify,” Latimer recalls, as if were perfectly normal for yellow violets, interesting feathers and owl pellets to share space with the bills and letters he delivered. Even nature itself seemed to get in on the act. “I’d always see the first active spiders of the year in mailboxes,” notes Latimer, who dutifully recorded that sign of spring along with all the others he’d see. 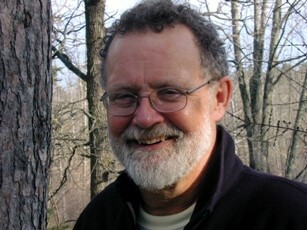 The radio gig, now in its 32nd year, also opened up new connections for Latimer, including getting to know two fellow phenologists: Larry Weber, a recently retired natural sciences teacher and author; and Peter Harris, science projects coordinator at Wolf Ridge Environmental Learning Center. They combined forces, and in February 2010, the Minnesota Phenology Network was born. Ever since, professionals and citizen scientists alike have been invited to share their observations and centralize the records they were keeping so everyone could have access to this important data. “My vision has always been to have a statewide group of reporters who keep track of things going on. I want to make sure we don’t lose any historical records,” Latimer says. “You always hear the story about the farmer who had written down all the dates he planted corn on the side of the corn crib—but when he died, the corn crib was torn down and the record was lost. “It’s necessary to preserve all those records that are around and keep a state record from all kinds of people. The best resource for doing that is the USA National Phenology Network. It’s a good model. I wish I’d been connected to that at the beginning,” he says.